Of course, the short answer is "it depends". Which timing device you use depends on your specific needs, limitations, and operational orbit. Let's take a look at the use of standard oscillators, GPSDOs, atomic clocks (rubidium and cesium), and Chip Scale Atomic Clocks (CSACs) for different satellite design needs. LEO satellites operate at an altitude of 2,000 km or less. This close proximity to Earth's atmosphere results in shorter operational life and lower cost requirements. An advantage of being LEO orbit is that satellites can receive precision timing from Global Navigation Satellite Systems (GNSS) satellites. Some atomic clocks provide great low-power and stability benefits. However, it's a misguided belief in the LEO Satellite industry that an atomic clock's precision timing always justifies the higher Size, Weight, Power and Cost (SWaP-C). Since Global Positioning System (GPS) signals are from Medium Earth Orbit (MEO) satellites, GPSDOs are a popular precision timing solution than traditional atomic clocks. 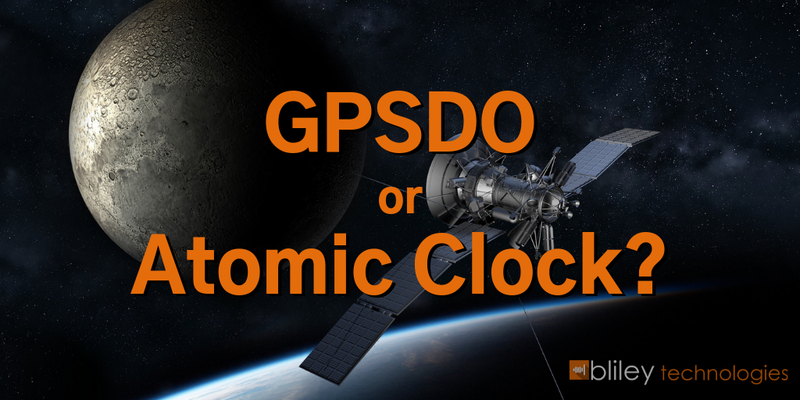 GPSDOs offer reduced SWaP-C compared to atomic clocks. This typically makes GPSDOs a better, cost-effective solution for LEO satellites that have shorter design life than traditional deep space missions. Alternatively, high stability low power OCXOs provide excellent phase noise for a low cost precision time and frequency. Bliley's line of specially design LEO precision time and frequency products are design to withstand the radiation environments found in LEO space. MEO satellites operate at an altitude between 2,000 km and 35,786 km. This is the region of space that GNSS satellites occupy. MEO satellites have a longer design life than LEO satellites but do not require the highly engineered designs required fro GEO space. A precision atomic clock (like the AR133 series rubidium atomic clock) timing source coupled with an ultra stable oscillator (using the legacy BG61/BQOTY crystal) is required at this orbit. GEO satellites operate at an altitude of 35,786 km. This high altitude requires larger launch vehicles and longer design life than LEO or MEO satellites. The high altitude also makes GPS signals unavailable. A precision atomic clock (like the AR133 series rubidium atomic clock) timing source coupled with an ultra stable oscillator (using the legacy BG61/BQOTY crystal) is required at this orbit. 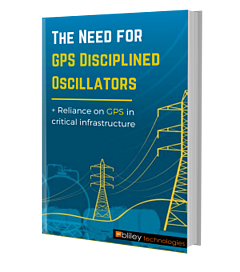 Bliley Technologies has developed GPSDO technology specifically for LEO satellite applications. 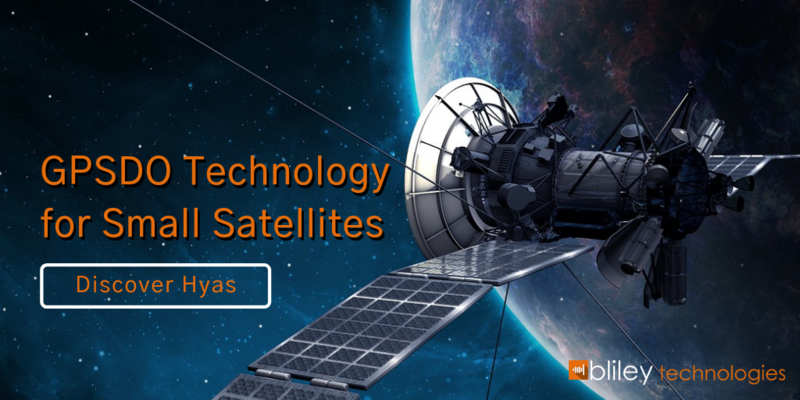 Hyas is a great option that works great in a variety of applications such as tracking, communication, and earth observation for the small satellite applications.